On overhearing a 3rd year PhD student saying that “when you start your PhD you think you will change the world but you very quickly learn otherwise, realising your work will be of little significance”, I was horrified and disappointed – what is the point of what I’m about to embark on? Why spend 4 years of my life working towards something which will not have any impact? Perhaps with the naivity of a new starter, I fought the idea of my PhD being insignificant. Perhaps it is the naivity of a new starter which continues to drive my fight against the disappointment of not being able to change the world, but an inspiring talk from Dame Jessica Corner*, at the Faculty of Health Sciences Post Graduate Conference last week, reassured me I need not be disappointed – that I have started a journey which will create impact on the world to a lesser or greater extent. Dame Jessica advised us that the 1st step to changing the world is to “believe what you are doing is important” and that is certainly something I can acclaim to! My PhD is just a baby step, I am still right at the beginning, but I am confident that Occupational Therapy, Dementia care and reducing malnutrition are all important enough to invest time, money and effort into. There are still plenty of opportunities for my research to fill some gaps and change practice and guidelines for care! So far I have found plenty of research on how to improve meal time experiences in long term care settings – environmental changes and strategies to improve social interaction at meal times, for example. There are observations and concerns about insufficient assistance while eating and drinking, and meal times being a task rather than an engaging activity in both long term and acute care. But what about the views of those who, for one reason or another, are malnourished? What about asking and observing those with dementia in our acute hospitals to really explore and discover the reasons behind not eating and drinking? What about examining the reasons for aversive behaviours at meal times instead of brushing someone off because of their “challenging behaviour” and therefore minimising their independence. After hearing a talk from Dr Tara Sims** at the PGR conference and reading the papers referenced below, I have felt a renewed enthusiasm for being an OT, the impact the skills of an OT can have in care, and especially in challenging poor nutritional care. 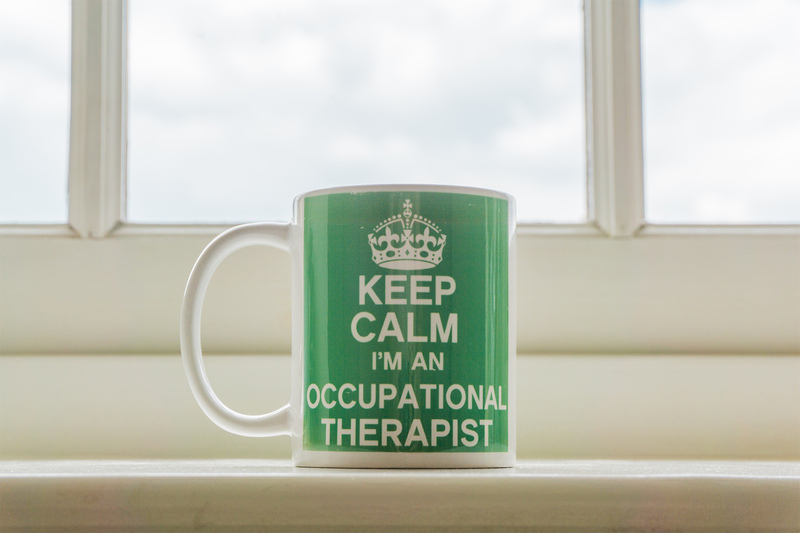 Occupational Therapists have the skills to assess and evaluate the eating process, as a vital activity of daily living, and can make significant contributions to individualised care plans. Using a holistic approach and activity analysis, we can assess the cognitive, mental, physical, social, sensory and environmental factors around a meal time experience, working with other professions to inform care. Imagine the impact if OTs, Dietitians, Speech and Language Therapists, Nurses, Doctors and Physiotherapists all combined their extensive skills to comprehensively evaluate malnutrition and dehydration in acute hospital care – I think it’s safe to say we could change the world! Paul, S. and D’Amico, M. (2013). The role of occupational therapy in the management of feeding and swallowing disorders. New Zealand Journal of Occupational Therapy 62(2): 27-31.